Tag Archive | "Burnside Street"
A number of emails about Ecuador crime have come in such as the one a reader sent below. “Gary Recent reports (today) of attempted murder of American tourist. This article tells about a man who was stabbed in Esmeraldas, Ecuador. You will not read Ecuador crime stories like this at our site. We prefer to publish useful information that help readers avoid crime. “After the fact” horror stories have little value, but shock value. 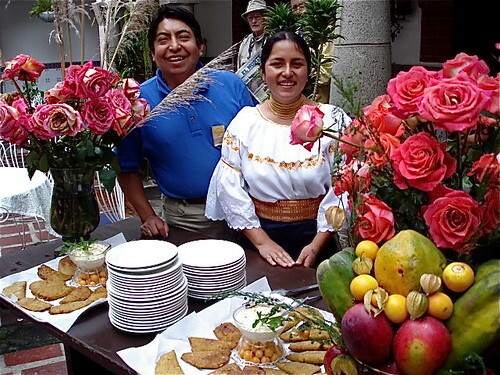 Ecuador is a country of great beauty. 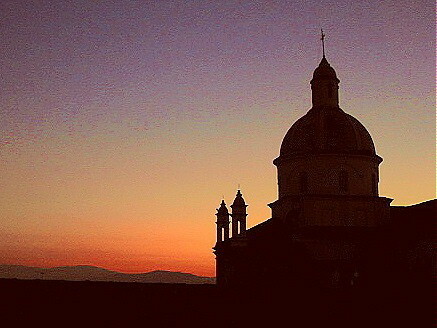 Here is the Cotacachi Cathedral near where we stroll every evening and at dawn. The article above did not help the man avoid being stabbed. Had he read our site (shown below) perhaps he would have had a different experience…impossible to tell. 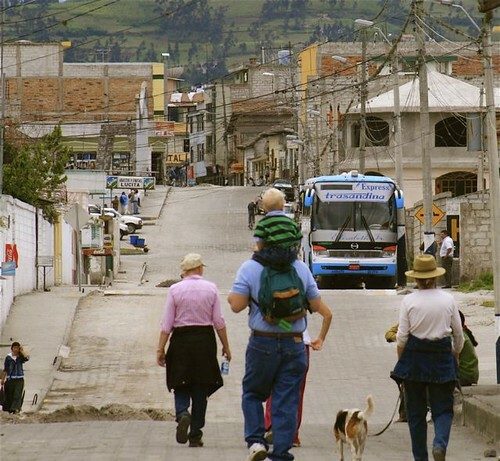 There is an even deeper issue if you travel to Ecuador…anywhere in the world…or even around your home. I am not sure why this particular crime became international news. Had this stabbing happened in Oregon, it may not have even made the local news. I know. I grew up in Portland Oregon and there was plenty of crime there. What city may I ask does not have crime? Where in the US is a stabbing or even shooting (unless it is in a school or involves many people) that makes the global news? Here is the bigger point. Anywhere you go, even the city near where you live has places where you are more likely to be involved in a violent crime. 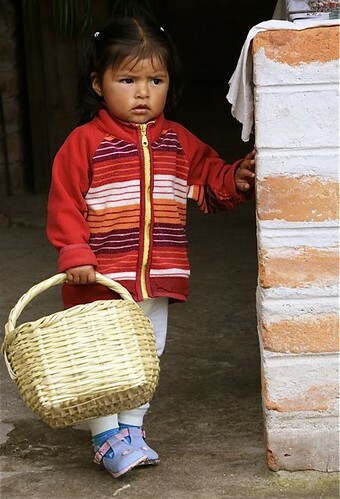 The people of Ecuador are by nature, sweet and gentle…but yes there is crime in Ecuador…like everywhere…just not as much violent crime as in many places. I regularly post warnings for my subscribers and recently wrote about Ecuador crime and safety. See a review of this warning here. However, though one has to be careful wherever you go, that article shows that Ecuador is not even in the top fifty nations for murder rates. Colombia is #1, Mexico is 6th, Costa Rica 19th and the US 24th. This is one reason why we recommend to our readers not to go too close to the Colombian border when they are in Ecuador. See the entire warning and how to join our Ecuador coastal tours here. Ecuador feels safe. You see children out walking playing, day and night. 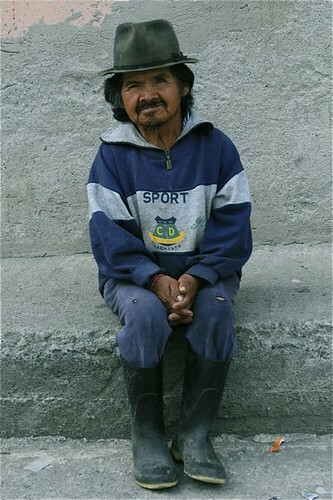 This is why our Ecuador Living service is so important. I grew up in Portland, Oregon the same state as the man who was attacked. So I know if anyone had asked him about going to Portland he would have warned them to avoid parts of Burnside Street. If one hangs in the wrong places on Burnside, there is a chance to be robbed, stabbed AND shot. In June when Merri and I were visiting my mom, we had an unusual experience. We wanted to go to a pharmacy near her house to buy some bandaids but were told my mom that the store only had daylight hours. Well, that surprised us because we’ve thought that pharmacies would be open 24 hours. “Not true,” she told us, “too dangerous”. Our 40 years of experience in global travel and more than a decade in Ecuador means that Merri and I have a lot of safety experience to share. 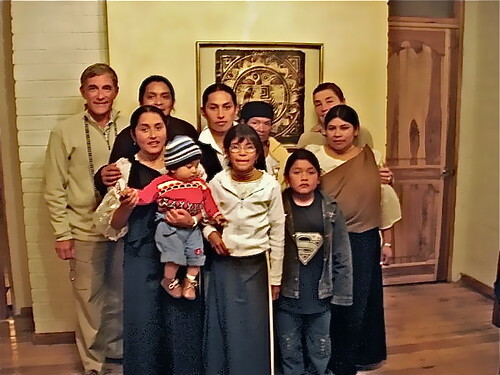 Many families have moved to Cotacachi Ecuador from the US and Canada. Here is a group on our real estate tour viewing San Miguel homes. 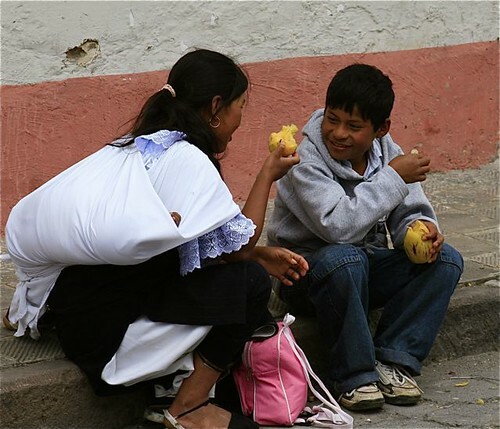 We have helped over 3,000 people to Ecuador in the past decade and never had a single violent crime. 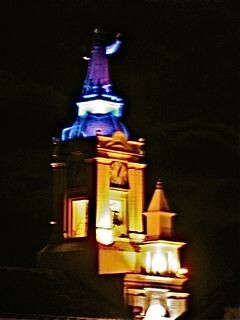 Our close friends in Ecuador run a travel agency and the largest Spanish school for thousands of young people. Ditto…not one physical assault. This is in part because we know which areas to avoid and we let our readers know. Esmeraldas is considered dangerous. I know that and so do any readers who read what I write. Ecuador is not a place of violent crime. Ecuador is also not a place of drugs. This is interesting and some people are surprised. Ecuador is very strict when it comes to crime and drugs. Ecuador’s government is also cracking down on crime right now. 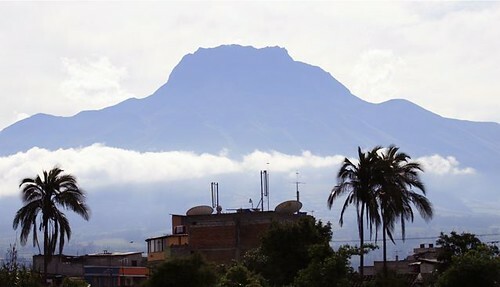 Recent news articles have interpreted this police crack down incorrectly and claimed that Ecuador’s government had declared a State of Emergency. This is not quite correct. For the record Mariscal Sucre is one of the areas, as is Amazonas Avenue, that we recommend to avoid. We get a lot of flak for this because this is the main tourist area…lots of great bars, hostels, even the Hilton Hotel. So this area is promoted a lot…but we lived there and know that the tourists attract the thieves. This is another important point about not just Ecuador but all travel and being a tourist. The danger comes from being in places you do not know. Merri and I know Cotacachi well. Here is Merri with Ma leading some friends into the village. The infrastructure is not deteriorating here. More police. 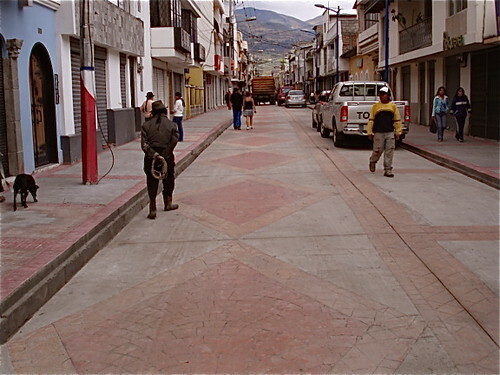 Now free education and here is the new road installed in the center of Cotacachi. 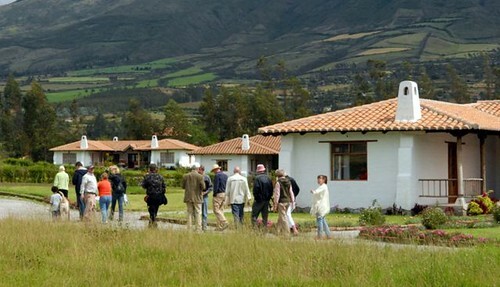 Some people feel that tourists are target in Ecuador. They are right…but tourists are targeted everywhere because they are in a places they do not know. Having lived abroad for most of my life, I have almost always been a tourist. When I lived in Hong Kong I was one of the minority…the white, long nose, foreign devil swimming in a yellow sea. There we had to worry about Teddy boys…gangs that fought, and of course being robbed in Wan Chai and the tourist areas. 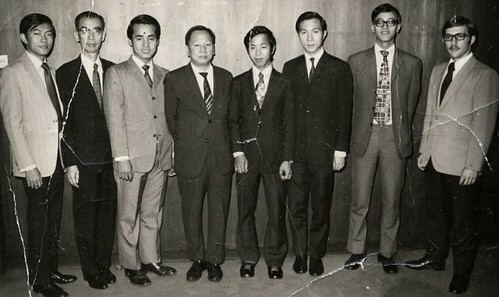 Here I am with the first Hong Kong sales team I built 40 years ago. Can you spot who stands out? When living in Europe and the UK I was a foreigner there as well…and robbed a couple of times until I caught on. One night I really made mistake in Amsterdam…had to barricade myself in the hotel room…in a district where I should not have been…Oops. When Merri and I moved to North Carolina, we were foreigners there also. Our real estate broker helped. “See that bar there,” he said. “Do not go in there…unless you want to deal with Bubba and his pool cue when he asks if you’re from around here.” We do not drink so this was not a problem…but it was good to know. Even stranger, I am now a foreigner in suburbs where I grew up in Oregon. Rockwood Oregon is not like it was. My sister has had to tell me where not to go..my old stomping grounds…and I did not know! My mom has had several break ins at her house of 50 years. We have had no robberies in Ecuador. There is a huge opportunity these fears about Ecuador crime or anywhere create. When an area has a problem, most people paint it with a broad brush. Yet most dangerous areas are measured in blocks not miles. You can often find bargains in really safe, good areas that inexperienced investors avoid because they do not know which blocks to avoid and which are good. This does not mean that Ecuador is for everyone. I doubt that you will find any place where there is not risk, if you do not take care. Yet I always recommend for anyone to come to Ecuador if it does not feel right. Go to places that seem exciting to you. Do not travel just because you dislike where you are. Travel because you have overwhelming excitement about where you are going! Then, wherever you go, be careful. Remember that you have to go through a learning curve in any place that is new. If Ecuador sounds exciting, please do come, look and see for yourself. Most who do and the many families who have moved here feel pretty darn safe…because we have learned where and where not to go. If you do come to Ecuador, I have established a full time full support research and assistance team to help Ecuador Living subscribers in any way required. 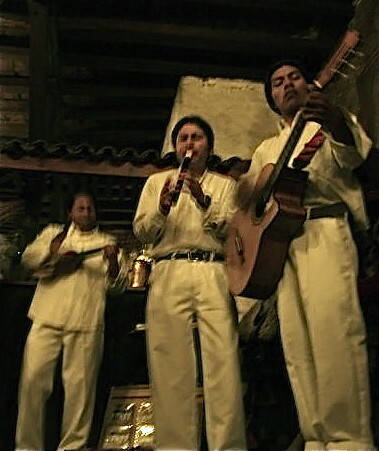 Part of this team are multi lingual Westerners so we understand the Western cultural needs as well as those of Ecuador. We know the typical mistakes that our friends from the US and Canada make when coming down to begin and can help you avoid them. 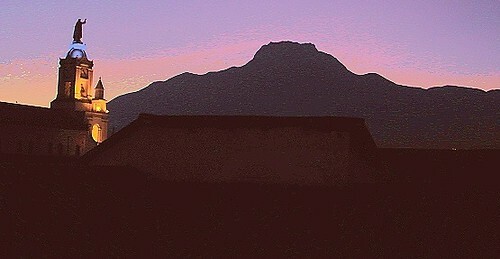 Here are some pictures that one of our delegates took in Cotacachi. 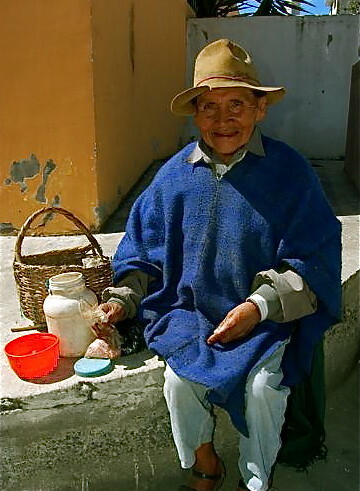 You can subscribe to our Ecuador Living service here. 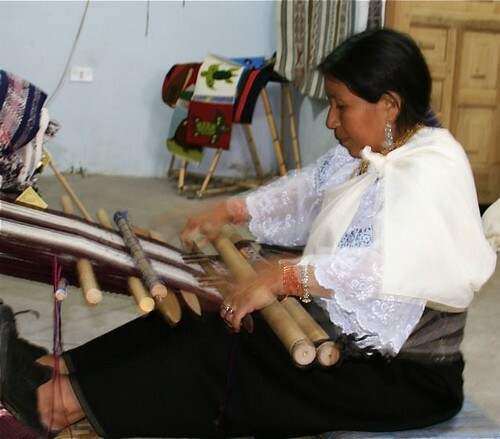 Join us in Cotacachi this winter. 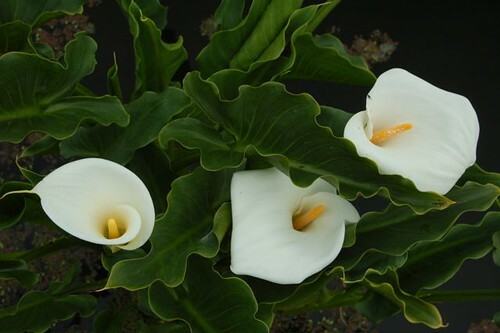 They love flowers and beauty. They are very religious. Here is the cathedral next to our hotel. Here are Merri and me with our Ecuador family and Godson, “Quinti Ananki” (King of the Hummingbirds). Better still join us all year in Ecuador! See our schedule of 26 courses, tours, mingos and expeditions we’ll conduct in 2009.